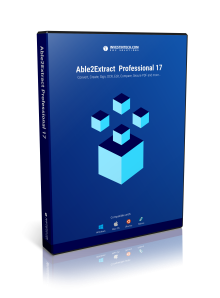 Download Professional Version on Your Desktop for Free! Why do you need desktop PDF to Excel converter for your business? You can control the look of your tabular data by tailoring Excel row and column layout. Customize tables before converting them to Excel. Merge PDF files and have all data together. Split PDF into multiple different documents. Collect and extract data in a few clicks. Redact PDF content before conversion to Excel even starts. Make sure your confidential data is blacked out. Convert multiple PDFs to Excel at once. Convert multiple native and scanned PDFs to various formats. When choosing desktop tools over online, you don't need to worry about internet access any more. No need to convert the whole file? If you don’t need to convert the whole file, select only the part of the document to convert.